There are four separate villas located throughout the islands grounds as well as a main pavilion which has communal living rooms and a dining area. For more information on the individual rooms and pavilions please see the Accommodation Link in the side menu. 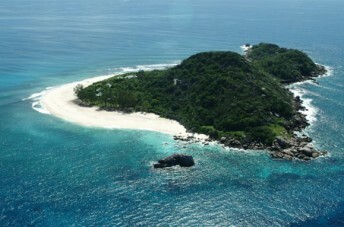 Located 6Km off the west cost of Praslin the island can only be reached by helicopter. The Seychelles can be reached by commercial flights into the international airport of Mahe, the Seychelles capital. 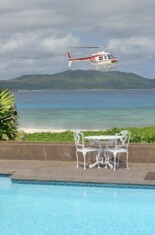 ResortWorld can help you organize your helicopter transfer to the Island. Cousine Island, located six kilometers off the west coast of Praslin in the Seychelles, is a private island retreat specializing in ecotourism. This luxury tropical paradise is dedicated to ensuring that the islands flora and fauna are completely protected. Cousine Island’s tourism funds the conservation efforts and guests are invited to take a role in the islands preservation. No profits leave the Island and all funds are put back into conserving the islands natural ecosystem. The island has four luxurious one bedroom villas built in French colonial style and nestled into the islands secluded environs. Lush tropical grounds and exotic blossoms create a captivating landscape for guests to relax and unwind. A white sandy beach, almost a kilometer long, entices guests to swim, and snorkel in the crystal clear waters that surround the island. Frequent sightings of the rare species of fauna that call this protected island home, will also delight guests. 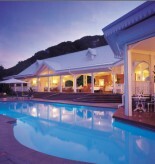 The Pavilion houses the dining area, Gecko bar, fresh water swimming pool, lounge and library. Everyday the chef prepares meals to order with Creole, Asian and Eastern influence. Each meal on Cousine Island is an adventure and the Chef encourages guests to interact as he prepares meals on an open plan cooker with only the freshest and the best local ingredients. Cousine Island also has a private Spa Pavilion called “The Beach House Wellness retreat”. It is a small luxury Spa offering guests the opportunity to book pampering treatments during their stay. The Spa utilizes the famous Lignest St Barths range of exclusive products and regenerating techniques. 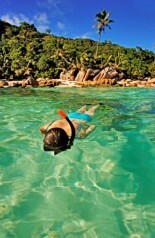 The islands pristine crystal clear waters will entice guests with the snorkeling opportunities surrounding the island. The islands white sandy beach is the perfect place to relax and read a book and soak up the sunshine. Nature lovers will delight in taking an active role in the islands conservation. Bird watchers will be amazed with the huge variety or rare and exotic birds that visit and live on the island. The island also has a gym, library and a luxurious Spa facility.